Just 2 years after the introduction of Bitcoin, Globitex was thought up by taking part in some of the first Bitcoin conferences in London. Just years after, the idea of creating a dedicated exchange entered. The lack of exchange sites urged the creators to bring quality services to crypto users around the world. The industry needs dependable exchange sites. Users need to feel safe and secure at all times. There’s no better way to make cryptocurrencies more interesting knowing that there are trustworthy crypto exchange platforms out there. Fast forward to 2017, everyone now has the chance to enjoy the fine services of Globitex. The creators put years into the development of the platform. This assures everyone that its services are second to none. The interface has both form and function. Its elements combined with the idea of giving professional and casual traders make it a top choice. Simplicity makes everything more attractive in this case. The site maintains intuitive elements. Expect seamless trading whenever you wish. This is one of the many qualities that makes Globitex a desirable platform. Your accounts get access to the exchange platform and the XBTEUR order-book. This is where you can buy and sell bitcoins against Euro. The site may offer extra order-books for Bitcoin exchange into other currencies or the other way around. An order-book holds trading pairs holding the asset being traded and the currency in which trading is denominated. You can place an order to buy or sell a certain amount of bitcoins at a price in euro or other the other fiat currencies available. The platform supports various order types. You can place a market order, limit order, stop-market order, or stop-limit order. You place orders through the site, API call or FIX gateway. All orders go on the order-book right away, and qualified to match with corresponding orders placed by other clients. 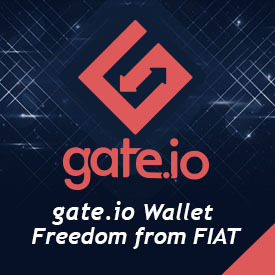 Once your orders match, the site settles the trades by sending the fiat currency funds and the crypto coins to the accounts of the users involves in the trade. While the site still runs on BETA mode, you can explore its different functions and create your own account. Expect a lot more from Globitex as it continues to introduce technology everyone can benefit from. Currently, the site offers to trade at 0% commission. It is also expected to operate with this pricing until the site launches. Conduct deposits and withdrawals via SEPA and SWIFT. The team behind Globitex created a solid platform for all. In this growing industry, you can rest assured that there are names everyone can rely on. Check it out and see what’s in store for you.